‘Gold rings and fine clothes’ – challenging words for any bishop it might seem; and rightly so! There is a strong case to be made for letting both our readings this morning speak for themselves! Both these words from the letter of James and our Gospel reading reflect the theme of what sort of character we need to have in order to be a disciple. It’s an invitation to each of us perhaps to stand in front of the mirror and ask ourselves the question, ‘do you like what you see’ and even more challenging, ‘do you think God likes what God sees in you?’! Last weekend, I received the news from New Zealand of the death of a retired Archdeacon in the Diocese where I was Bishop. A Maori priest, Archdeacon Tiki Raumati was a force to be reckoned with. He was not an easy man to listen to, or indeed to encounter. In an email I send to the Archbishop of New Zealand yesterday I remarked that my own relationship with Tiki reflected something of the complexity I often felt being a white, foreign woman in leadership. It’s very difficult for me to convey to you an understanding of what that means, but suffice to say that there was a break-through when Tiki allowed me to sit on the front row during the welcome ceremony on a marae before an ordination took place. 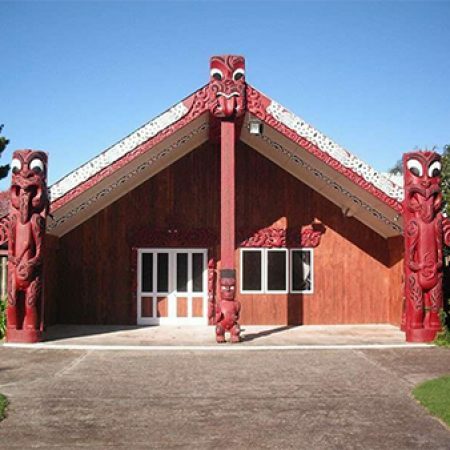 Women you see are not usually allowed to sit on the front row on a marae (a Maori meeting ground), but in church contexts, protocol demands that women in leadership roles must be afforded equal status with their male counterparts. Tiki put up a fight on that point, but he had to concede defeat. I sat on the front row, and we stared one another down. But I also said in my email to the Archbishop: Tiki was a robust and challenging speaker, never afraid to speak truth to power and to lay bare the ravages of a colonial history that had inflicted great harm upon Maori. He also stood for a deep sense of reconciliation however, a reconciliation that was not about simply covering over the cracks, but forcing them open so that the deeper layers of our common humanity could be exposed. For that, I in a small way, give thanks and rightly acknowledge a life of faith lived in love and service of his people. May he rest in peace, and rise in glory. Now, Tiki wasn’t Jesus, and I am not the Syro-Phoenician woman, however both then as now there is room for challenge and new learning in any relationship, whether brief or long-standing. Irish writer Padraig O Tuama observes that in Mark’s Gospel there isn’t a detailed story of the temptation in the desert, however there is a story of repentance. He comments that ‘this short text is a test for how we will read the Gospels. I have heard (he writes) people say that he was calling her a little dog, and that little dogs are possibly puppies, and that puppies are cute, so that he was either complimenting her or clearly joking. This is unlikely.’ The woman has courage; she responds, and because of what she says, Jesus changes his mind. No one else in the entirety of the Gospels has such an impact on Jesus. To be open to changing our mind is perhaps the most challenging thing we might face in our lives; changing our mind, changing our direction…this is perhaps a challenge of you in this time of interregnum and discernment as to who God might be calling to be your new Rector? Are you up for a challenge? Courage is not the absence of fear, but rather the judgment that something else is more important than fear. That something else, I suggest to you, is love. Love of God for us, love of self, and love of neighbour. The outworking of faith, however we manifest that in our lives always leads back to love. That isn’t a naïve love, it is a love grounded in capacity to challenge and to be challenged. That’s what I remember in my relationship with Archdeacon Tiki. It wasn’t easy, and I dare say it is only now that see its true value. Some things we cannot comprehend but must leave to an eternity that lies beyond our understanding. But we know and trust in God who can do so much with our lives, yes even our lives.